Dual Monitor Wall Mount w/ Spring Arms Dark Gray integrates fashion with function, delivering ergonomic performance with style. 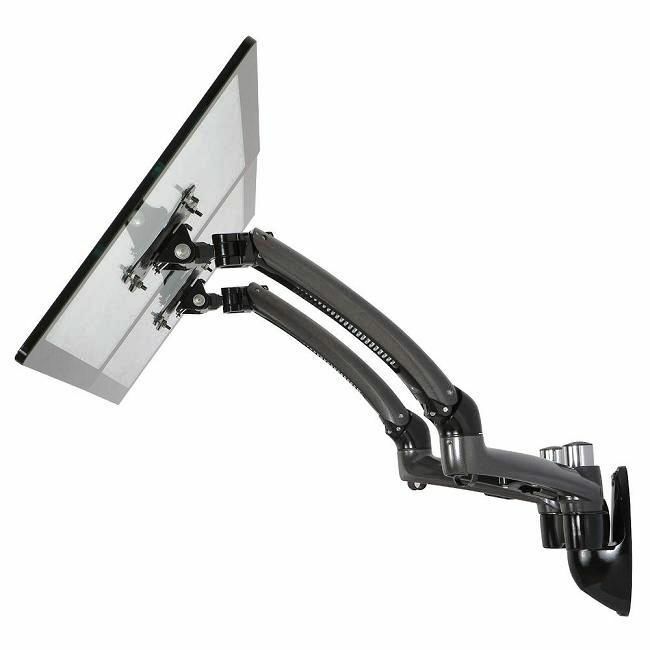 With weight capacity of 17.8lbs, this wall mount features 180 degree monitor rotation, +90 / -45 degree tilt, 180 degree swivel and 11.02" - 12.6" (280 - 320mm) vertical distance height adjustments. The wall arm is designed with cable management to provide neat space. The monitor mount is ideal for classrooms, offices, homes, public area, industrial settings, production line and many more. This LCD wall mount renders maneuverability, flexibility and a chic look that is sure to flatter your monitor. The multi monitor mount boasts integrated strength through the latest engineering technology, and is tested for durability in our offshore manufacturing plant. 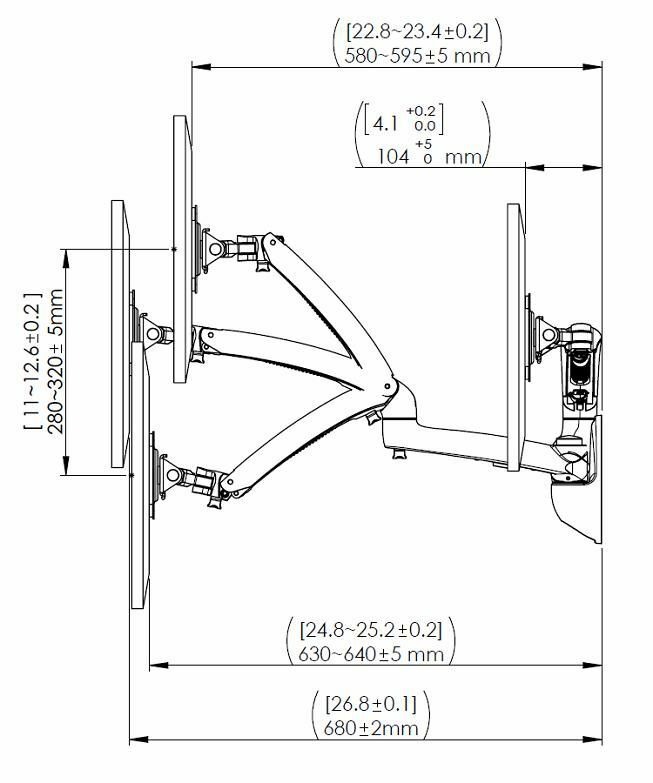 The Cotytech monitor arm has been built with the end user in mind, and features easy installation while offering intuitive, practical & functional design from one of the leading manufacturers of monitor mounts.